On our first Blaxhall w/e ride we had the full range of weather we have experienced at Blaxhall. 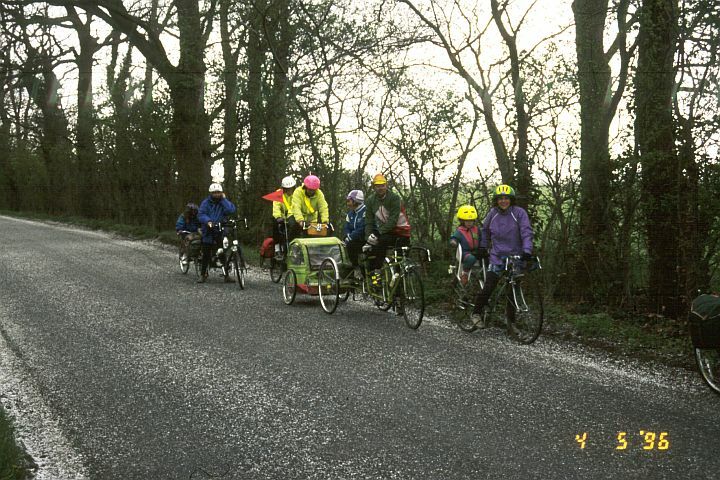 The campers complained of a frost and despite the sunny start, see above, we were caught in a heavy hail storm which coated the road with the stuff. 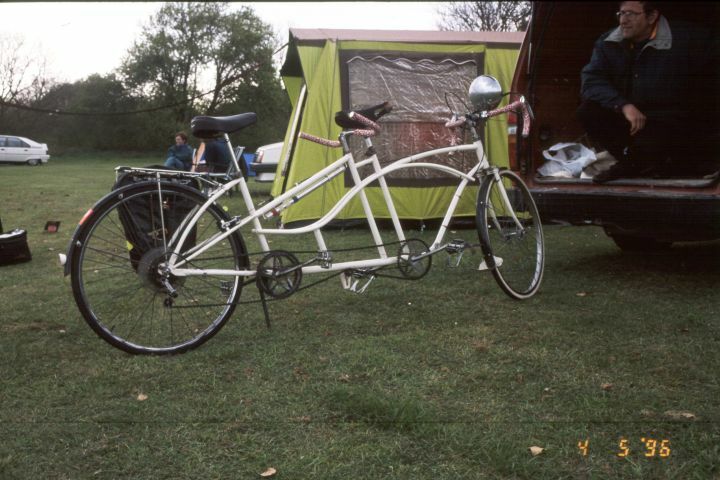 The nice thing about tandem rallies is seeing a very wide range of tandems, as seen in this rare example.. In contrast to the Saturday, the Monday was glorious both Sunny and hot. Then Ceri-Siân and I started our tradition of leaving Ann behind to pack up whilst we rode to Framlingham. 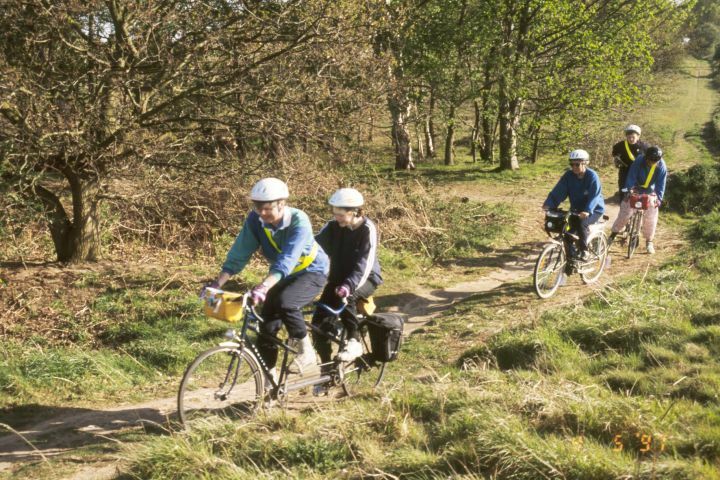 Here we are taking a skipping break with the family we rode with, just outside Swaffling. In our early visits to Blaxhall we frequented the tea room by Butley Pottery. 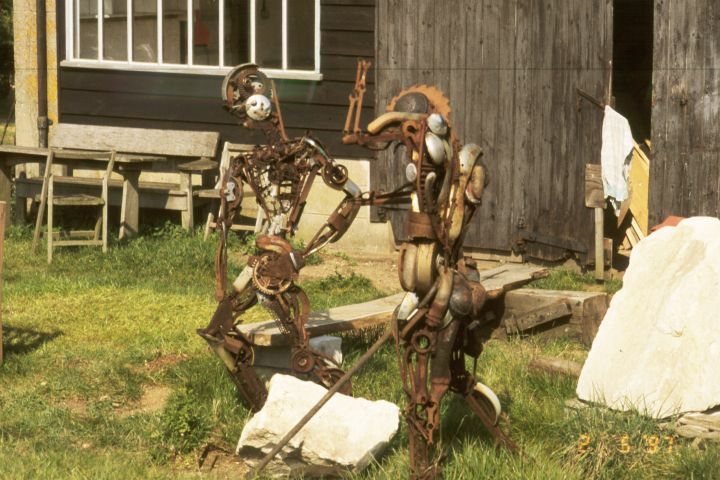 In addition to pottery there were sculptures made from scarp iron. 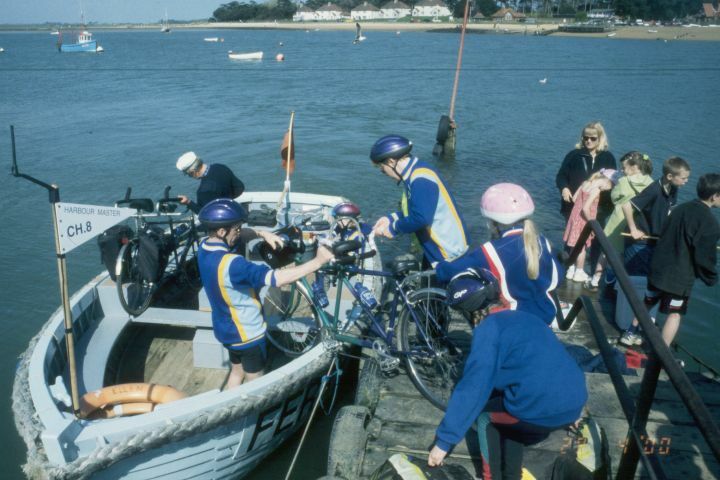 In 1997 we took our first family trip on the ferry across the Deben between Bawdsey and Felixstowe Ferry. 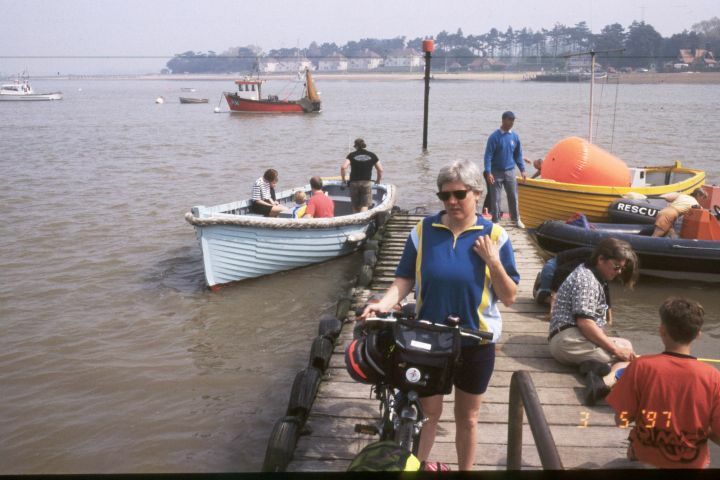 This is Ann posing on the jetty at Felixstowe Ferry. 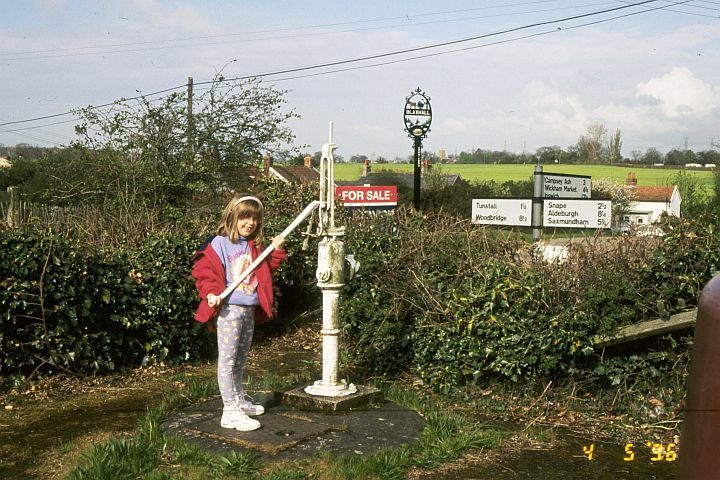 I have used the ferry many times in the past as brother Len moved to Felixstowe when he first left home. 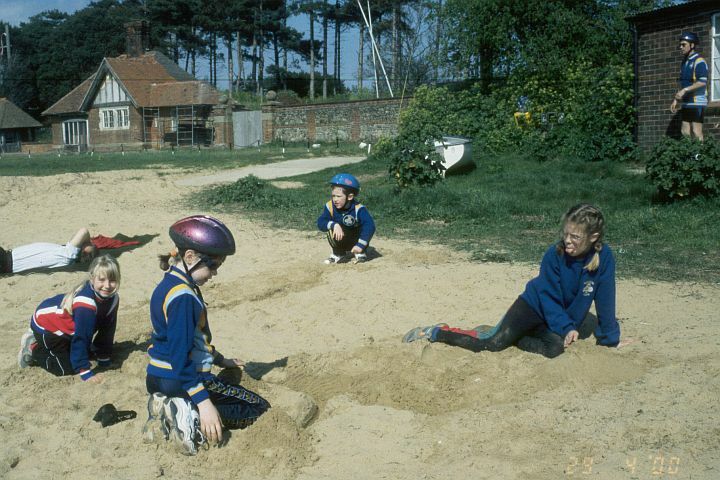 The coastal part of Suffolk has very sandy soils, which give rise to some nice bridleways and byways. This is one one of the bridleways in the vicinity of Blaxhall. 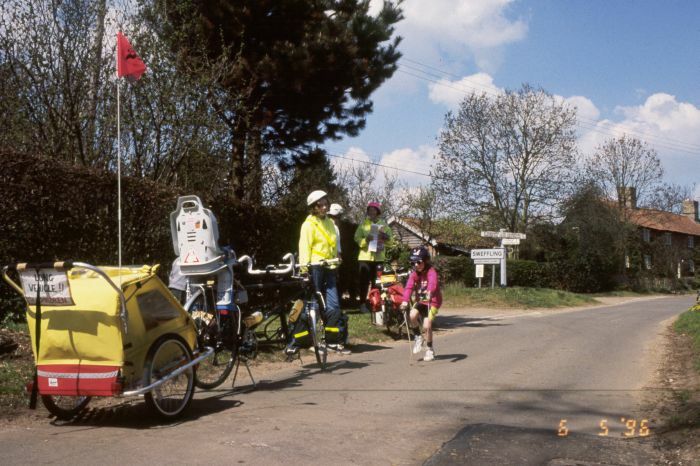 In 2000, a large group of us rode to Felixstowe and returned via the ferry across the Deben. Here is ferry being loaded with tandems. The small beach on the Bawdsey side of the Deben is one of few sandy beaches in the area. Here is Ceri-Siân sticking her tongue out whilst playing on the beach.